Many people have dreamed about living in the past. They fantasize about living in feudal and medieval periods or watching the forefathers of the Renaissance period provide their contributions to mankind in person. But what a lot of these fantasies forget is that chances are, they would have died at the ripe, old age of 30 because of diseases that were untreatable back then. Even worse than the diseases back then were some of the supposed cures. Ancient Egyptians would mash dead and rotting mice into a paste and apply it as a remedy for toothache – which would have led to infections. In 18th to 19th– century Europe, doctors thought cutting off half a person’s tongue could cure stuttering. Even makeup was considered a cure to hide blemishes, though those blemishes came from the lead and arsenic found in the makeup. 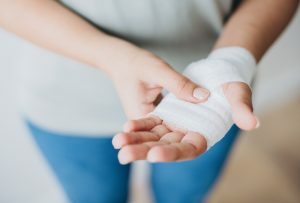 While we’ve (thankfully) stopped some of the medical treatments of the past and kept the ones that are genuinely helpful, there are still a few myths and old wives’ tales of what to do during injuries and accidents. As a result, these myths are harming the injured more than it helps. 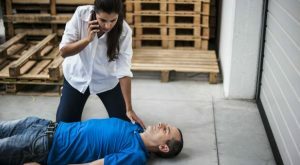 When you have to perform first aid for minor incidents, avoid performing these and instead do what is medically safe for the injured person. In case of a burn, it’s important to cool the skin immediately because the heat, if left prolonged on the skin, can travel deeper into your skin and destroy tissue even after you’ve stepped away from the heat source. Putting butter or oily burn ointment can make things worse because it traps the heat on the skin and causes damage from the retained heat. Ice is too harsh on burned skin and can cause further damage. Instead, run cool water over the burned area. However, if it is a severe burn case that exposes muscle, do not try to cure it with home remedies and go to the Emergency Room immediately. It’s old advice to tile your head backwards and pinch your nostrils together when you have a nosebleed. It’s also bad advice. Whether or not the blood comes out of your nose, that blood is already out of your vessel and it’s going to end up somewhere else. If you tilt your head back, it could flow down your trachea, which may make it harder to breathe. It may also make you swallow blood, which could trigger vomiting. Instead, lead forward and pinch your nose below the bridge to maintain a clear airway. The applied pressure should stop the bleeding in less than five minutes. Heat compresses can be used for body aches and pains. However, you should never apply it to your body during a sprain or fracture. It will only increase the swelling and boost blood flow, which can lead to further pain. Instead, apply an ice compress for around 20 minutes. Never put the ice directly on your skin. Make sure to get plenty of rest and keep your sprain elevated and compressed for the first 24 hours. Alcohol has a cooling feeling on your skin, but it’s not going to decrease your body temperature or help you get rid of what’s causing the fever. People who perform home remedies by mixing alcohol and cold water and then using a cloth to wipe themselves with it will not see any changes to their condition. And for small children, the alcohol could be absorbed into their skin and cause alcohol poisoning. 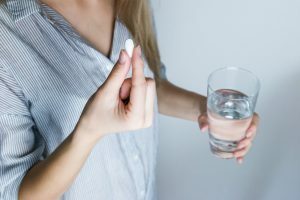 For fevers, the best remedy is to take over-the-counter medicines such as ibuprofen or paracetamol. Visit your doctor or healthcare provider if it doesn’t go away after a few days. We’re all probably guilty of doing this at least once. When you have dirt in your eye, you tend to keep rubbing your eye until you feel the object has been removed. However, this can cause eye damage and infection, especially if your hands are dirty. Instead, rinse your eye with clean water. Putting a band-aid or bandage on minor cuts and then leaving it there for days will not speed the healing process. Leaving it there for long periods can draw unwanted moisture and dirt around the cut. Instead, when you get a cut, clean it and apply ointment, but wait for it to dry. 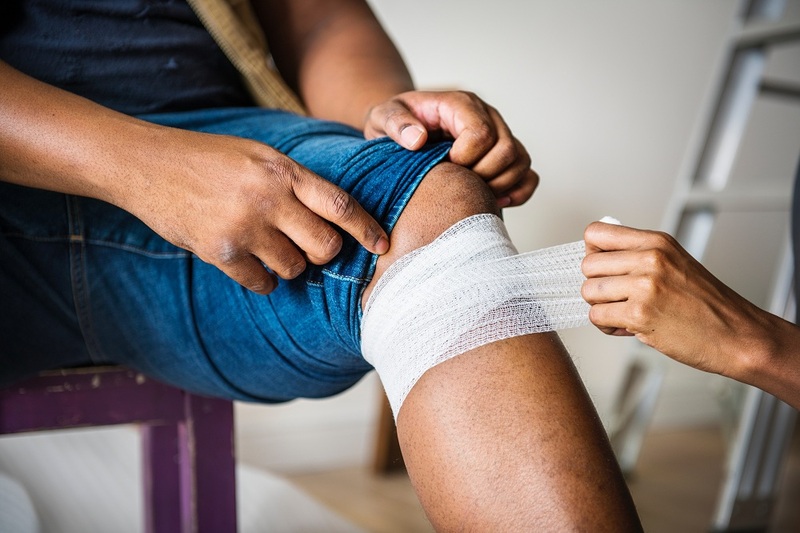 If you need a bandage to keep it clean, change it at least twice a day, cleaning the area with mild soap and water in between. Once the cut has been scabbed over and doesn’t expose internal areas, let it heal in the fresh air. Directly applying ice can freeze your skin, cause skin tissue damage, and even risk frostbite. Bruises are even more susceptible to damage, considering the blood underneath the skin. Instead, keep a barrier between the ice like a towel or a plastic bag. Keep it on your skin for up to 20 minutes before letting it cool down for another 20 minutes. Old myths believe that a virus causing a fever can be sweated out. When you have a fever, you may experience chills but feel cold, so many believe that wrapping up warmly can fight the fever. However, if your body temperature is over 38 degrees, heating up may only worsen your condition. Instead, you should be trying to get cooler and take proper medicines. When a person is unconscious, there’s this myth that you must keep their mouth open and draw out their tongue. It’s based on the belief that when unconscious people lie on their backs, their tongue can fall back and block their airways. While the danger is real, going through the trouble of pulling their tongue out might cause injury to the unconscious person’s mouth. Instead, turn them to the side or move their head back. This leaves a clear airpath for them to keep breathing. Once you’ve done this, call for emergency services.